Indiana Gov. Mike Pence on Thursday signed a bill that could allow businesses and individuals to deny services to gays based on religious grounds. 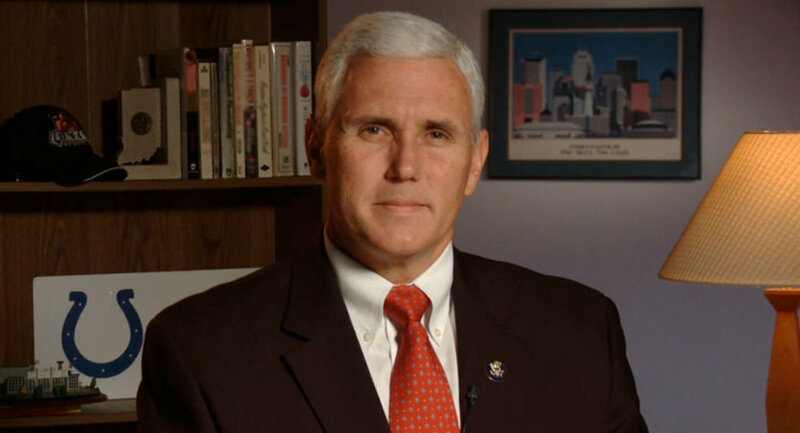 Now he is seeing a backlash by businesses and other states who are vowing to boycott Indiana. Proponents of the Religious Freedom Restoration Act, which was passed by both chambers of the State Legislature, argue that the law would prevent the government from forcing citizens to act in ways that don’t complement their religious beliefs. Opponents, however, say it’s discriminatory and Pence is receiving harsh public backlash from a wide variety of sources. Gen Con LLC owner Adrian Swartout threatened to cease doing business in Indiana. "Legislation that could allow for refusal of service or discrimination against our attendees will have a direct negative impact on the state's economy, and will factor into our decision-making on hosting the convention in the state of Indiana in future years," Swartout told Pence in a letter dated before the governor signed the bill. Some religious groups are also reconsidering involvement in the state. The Disciples of Christ Church has told Pence that it’s considering pulling its 2017 convention out of Indianapolis. The bill is not scoring with some sports organizations either. Cyd Zeiegler, writer for Outsports.com, noted the National Football League may move the annual NFL Draft combine from Indianapolis and even prevent the city from hosting future Super Bowls— plays the NFL considered when Arizona tried to push similar legislation that eventually got vetoed. The bill caught the attention of the NCAA which will host the men’s basketball Final Four in Indianapolis next week. "We are especially concerned about how this legislation could affect our student-athletes and employees," NCAA President Mark Emmert said in a statement. Emmert noted that the bill could affect the organization’s future events. Government officials are also speaking out against the bill. Indianapolis Mayor Greg Ballard cited the bill’s potential to hurt the city’s economy and reputation. "Indianapolis strives to be a welcoming place that attracts businesses, conventions, visitors and residents," Ballard said in a statement. "We are a diverse city, and I want everyone who visits and lives in Indy to feel comfortable here."